A search engine for industrial suppliers and components, with good sources for motors, bearings, gearings, couplings and other power transmission related products. Trade Industry Magazine. The site has application reference articles and supplier search. 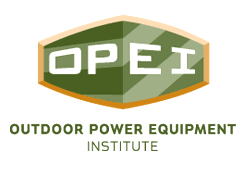 The Outdoor Power Equipment Institute (OPEI) is an international trade association representing more than 100 power equipment, engine and utility vehicle manufacturers and suppliers. OPEI is the advocacy voice of the industry, and a recognized Standards Development Organization for the American National Standards Institute (ANSI) and active internationally through the International Standards Organization (ISO) and the International Electrotechnical Commission (IEC) in the development of safety and performance standards. OPEI is managing partner of GIE+EXPO, the industry’s annual international trade show, and the creative force behind the environmental education program, TurfMutt.com.